Some things are just meant to be. Due to a number of events, including an upcoming trip to Brimfield and a big new construction project on Teague’s plate, we held off on tearing open the roof this weekend. It was not an easy decision; we were really torn. We both wanted to make progress, but not at the expense of our sanity and physical well-being. Yeah…….. so, I’m glad a blue tarp is not the only thing keeping gallons of water out of our house. We decided that since we’re in no rush with the roof (just needs to be done before it gets too cold this fall) we’ll wait until we can both take some time away from our day jobs and commit to the project fully. But since we had the dumpster and an unsheduled weekend, we had to find something to keep us occupied. 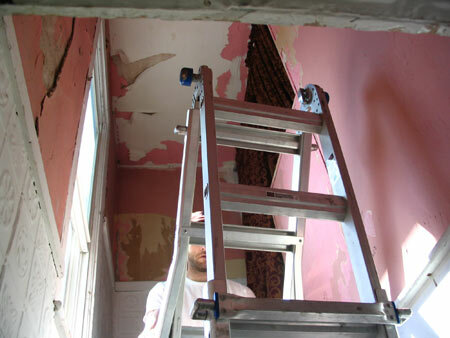 That something ended up being the stairwell, a big ‘ole mess of crumbling plaster and pink paint that looks like something out of a horror movie. The ceiling is in good shape except for a crappy wallpaper job, so we left it in place. The maroon thing on the top-right is a curtain that keeps the cold air out in the winter (no longer needed, hooray!). 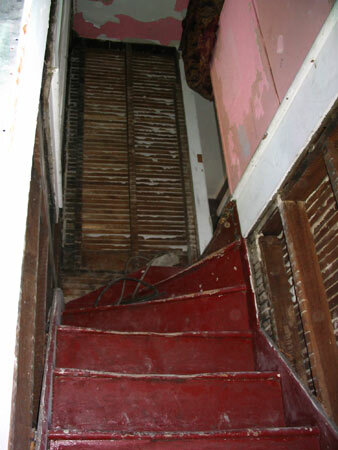 The pink half wall on the right will be left up until we buy/find/steal a railing that will keep people from hurtling down the stairs to their death. It’s not a new roof, but progress is progress! And progress that does not involve major stress,worry and back pain is pretty nice. man. 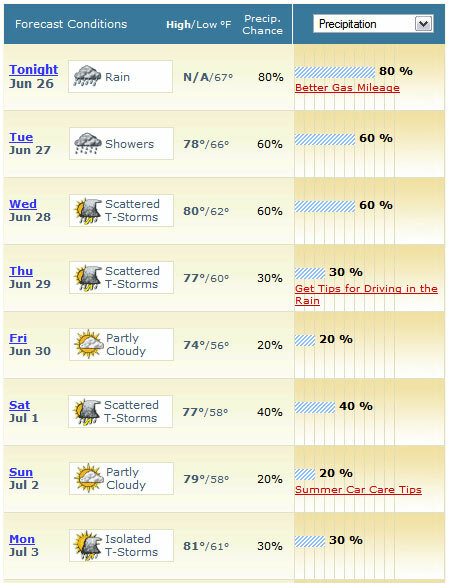 i forget that it can rain all summer long in other places. In CA we have rainy season, ie winter and dry season, ie summer. I dont even bother looking at the forecast and if, by some evil misalignment of the planets we DO get rain in july, I’m completely unprepared and indignantly furious about the whole thing. Good job you on NOT creating a wet house. Bill Murray would have mocked you from his warm cozy den.